This is a question that travelers often ask ... how should I travel in Iceland? Alone or accompanied? Rent a car and go on a solo adventure or depend on a guide and an itinerary? Obviously, this is very individual, and the answer will depend on your interests and how you like to travel. 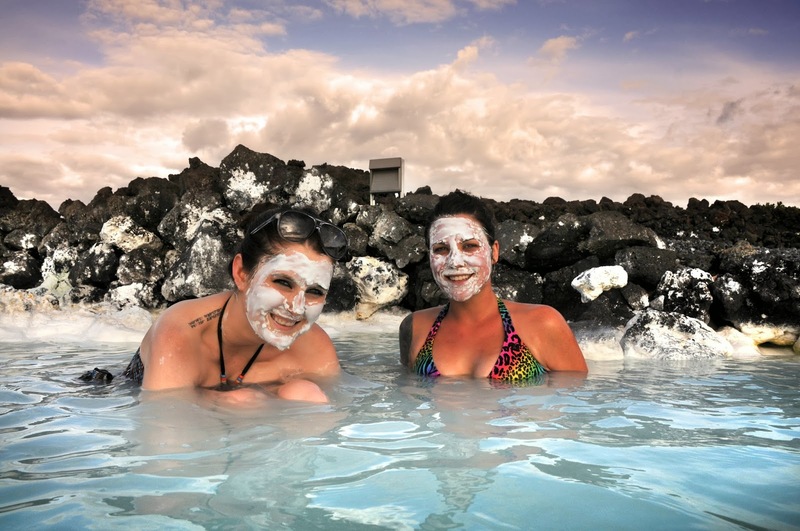 Each of the options has advantages and disadvantages, and here are some ideas to take into account when preparing for your trip to Iceland. 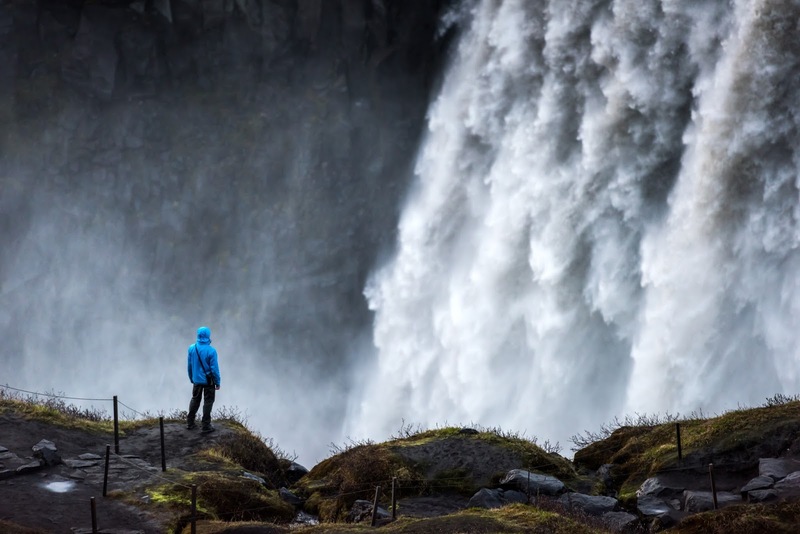 A trip to Iceland requires lots of planning and preparation, to make the most of your time there, including many reservations. On an organized tour, this is all taken care of for you; You can put your feet up and relax while the tour company takes care of the itinerary. With the growing tourism industry, you can join all kinds of accompanied trips, which suit your personality and desires. 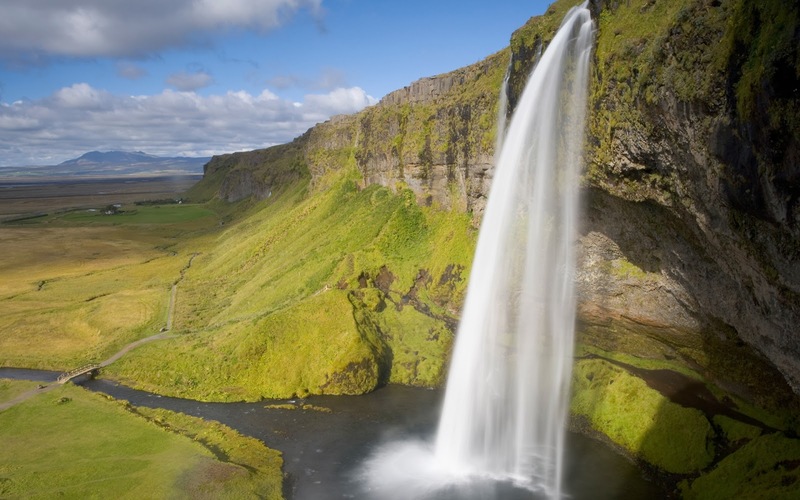 On a guided tour, you are sure not to miss stunning views or a hidden waterfall a few meters from the road. 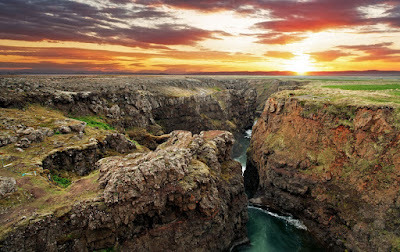 Accompanied trips follow a fixed route, but, spontaneous alterations may occur occasionally, depending on the guide, company or factors such as weather conditions. However, when you are traveling in a group, you will be expected to take part in the activities on the trip, whether you like it or not. 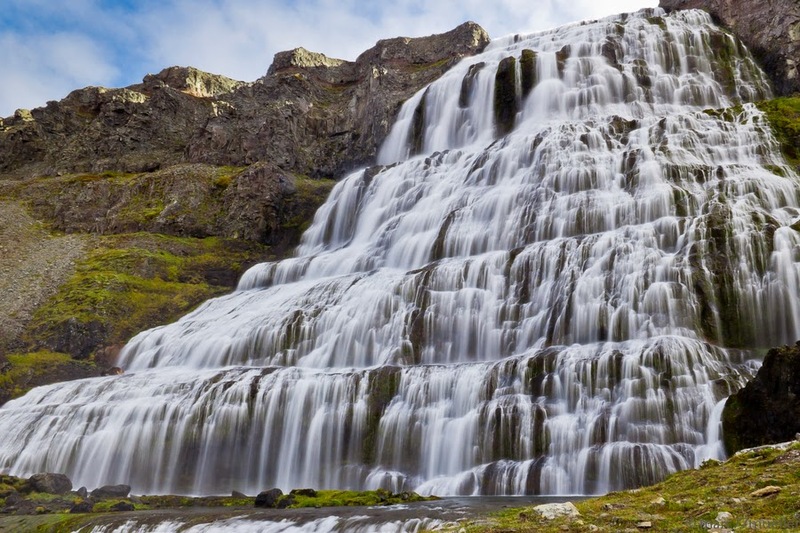 If you have no experience of Iceland and want to go to the Highlands, it may be useful to go there accompanied by a professional. 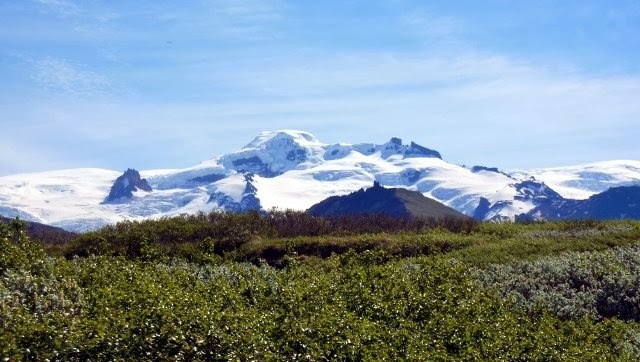 The same applies if you wish to hike on a glacier or enter an ice cave; For safety reasons we strongly advise you not to venture alone and always use a professional to guide you. You can stop where and when you want and spend your days at your own pace ... this is the biggest advantage of traveling independently. 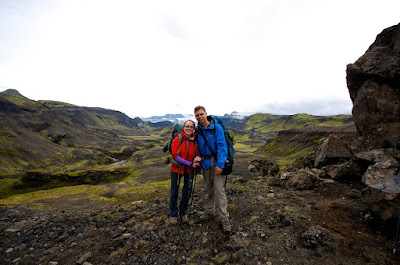 Iceland is a country that takes time to uncover and get in to the local culture. 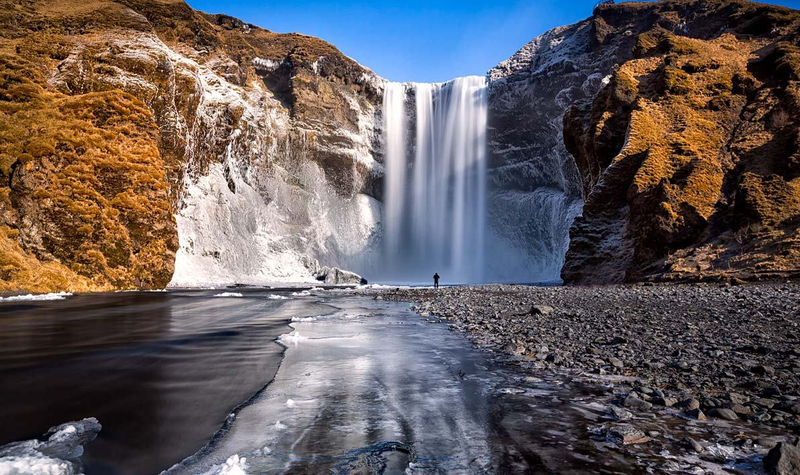 However, Iceland is very popular and finding accommodation during the high season can be difficult to find, unless you book months in advance. An independent trip needs to be well planned so that you can enjoy it to the fullest. 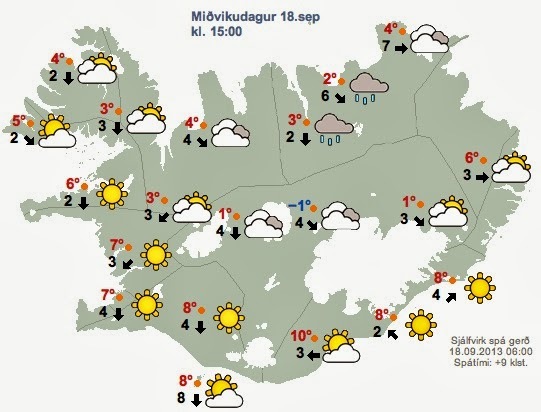 And do not forget that in Iceland, especially in winter, unforeseen events are common: be prepared to modify your itinerary if necessary. - hire a private guide to guide your group around the island. - join an autotour and enjoy your freedom without the constraints of reservations and schedules. 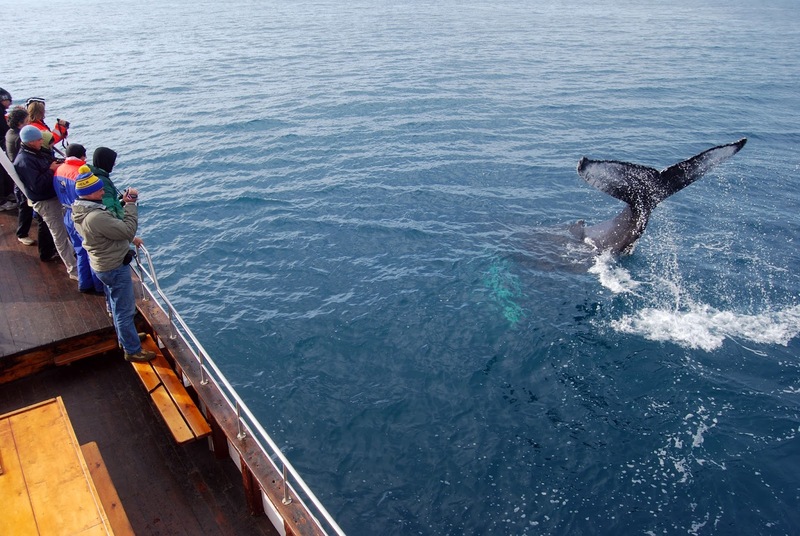 - make an independent trip but use agency services for certain excursions. In thanks for all of the tips I picked up from other travelers, here is brief trip report. 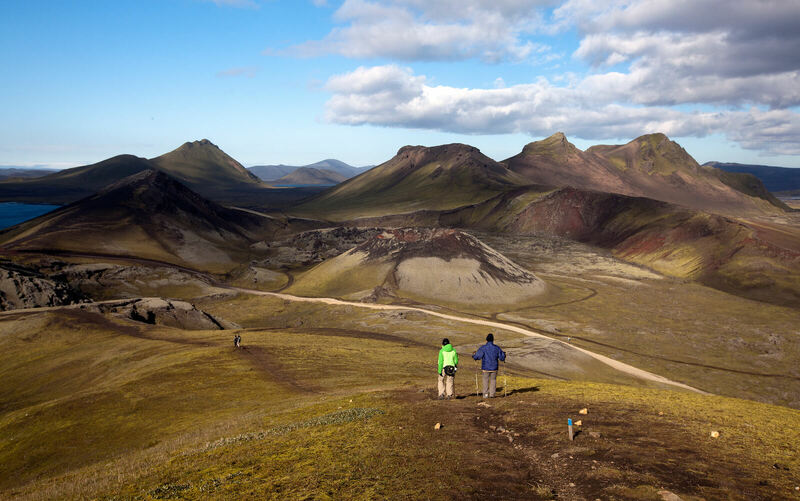 Six of us were in Iceland on October 5-10, six days on the ground. We rented a van from Mike at Reykjavík Cars (www.reykjavikcars.com) and it worked out great. He met us at airport, everything was incredibly convenient, even as I changed our car requirements as our group grew shortly before the trip. We landed in the morning, dumped the luggage at the Reykjavik Centrum Hotel, and set off on a self-led walking tour of sites in Reykjavik, including Hallgrimskirkja, the National Museum and the harbor area. We had a tasty lunch of local fish at Icelandic Fish and Chips and took a rest. We had a truly outstanding dinner celebrating a 60th birthday at Grill Market. Service, led by waiter Yoel, was great. The presentation of the food was lovely, food was delicious (fish, lamb, duck, veggie) and the special setting. When our staying/celebrating at the table was holding up other guests who needed to be seated, Yoel moved us into the bar area for complimentary coffee. We then moved on for drinks at Loft Bar, properly recommended by Yoel as a good place for “older” folks. 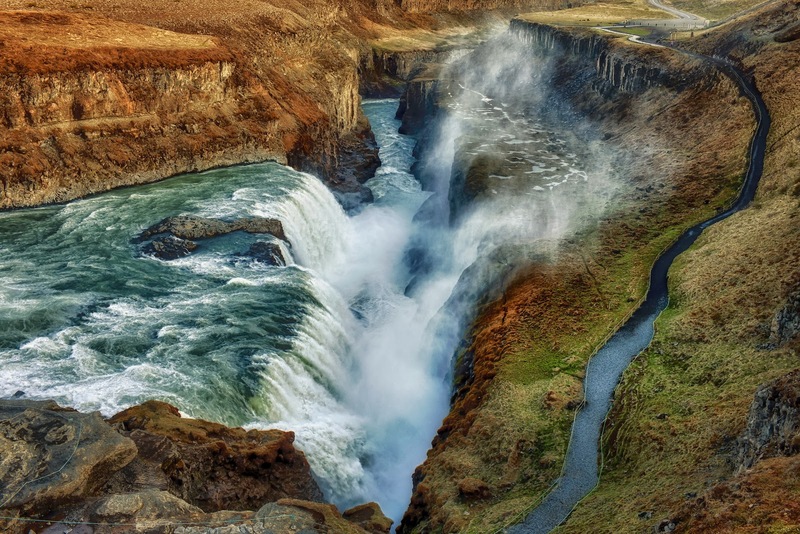 We took on the Golden Circle, focusing on the traditional stops: Pingveller, Geysir and Gullfoss. I would say the waterfall was the most impressed spot for us. That night we had dinner at a restaurant called Slippbarinn at the Marina Hotel that was recommended by a local contact; very nice, good food (we ate mostly fish) and nice atmosphere. Since according to the websites and the hotel the solar activity forecast was promising, we took a Northern Lights drive back to Pingveller, but it was too overcast to see anything. We set off on the Ringroad heading East - stopped at the beautiful Seljalandsfoss waterfall, walked behind the waterfall which was nice, had lunch in Vik at a lovely café, Halldorskkaffi. 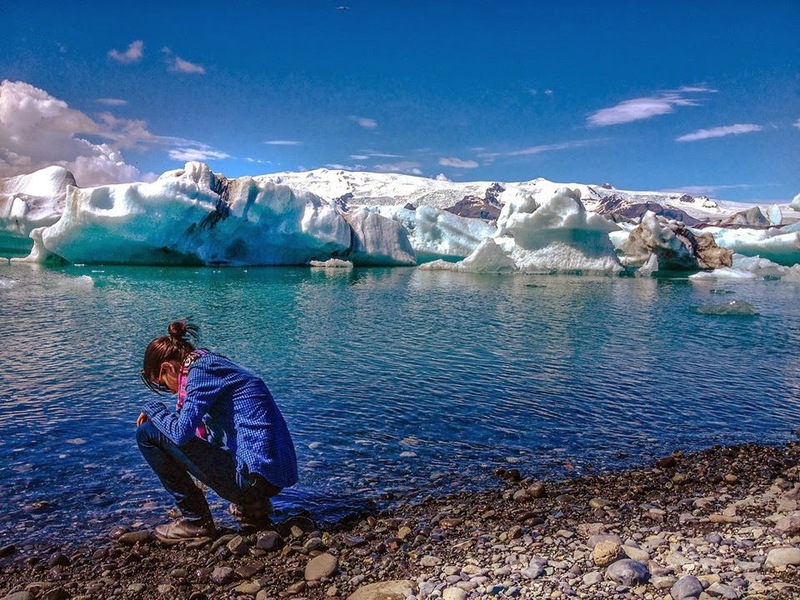 We stopped at the little museum/shop dedicated to the Eyafjallajokull earthquake and then onto the breathtaking Jokulsarlon and a boat trip on the iceberg lagoon. We arrived at Hofn in time for sunset and had good fish and lobster dinners where we were staying at the Hotel Hofn. We walked along coast, harbor and through town and then back on the Ringroad headed West. 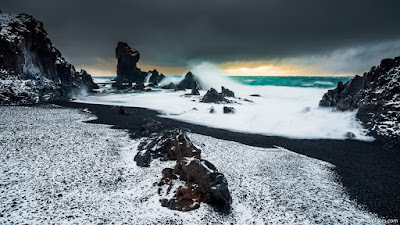 We stopped at Jokulsarlon to see the changes that take place from hour to hour and day to day, quite amazing and then down to the beack to see the smaller (and not so small) pieces of ice that washed up on the black sand shore. It began to snow and rain, and we headed to Skaftafell National Park and took walk for around 2 KM to a glacier while it snowed. After lunch at truckstop we headed back towards Vik. It was raining in Vik so we took quick look at the black sand beach and the Rrenisdranger “Troll Rocks” and then onto the lovely Volcano Hotel where we were staying for the night. 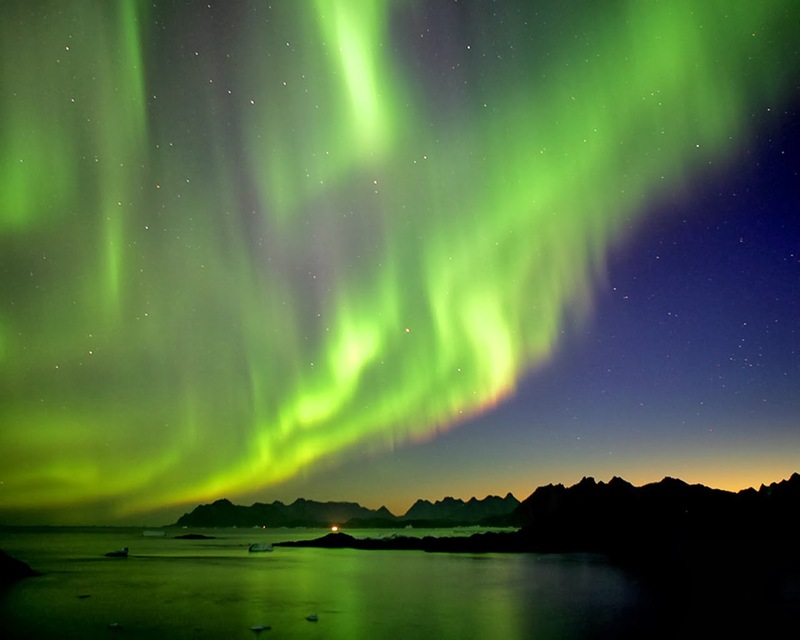 We were having dinner in the hotel dining room and had finished eating before desert when another guest ran in at 8:30 told us that the Northern Lights were visible in the sky. We stood outside and watched the natural light show. 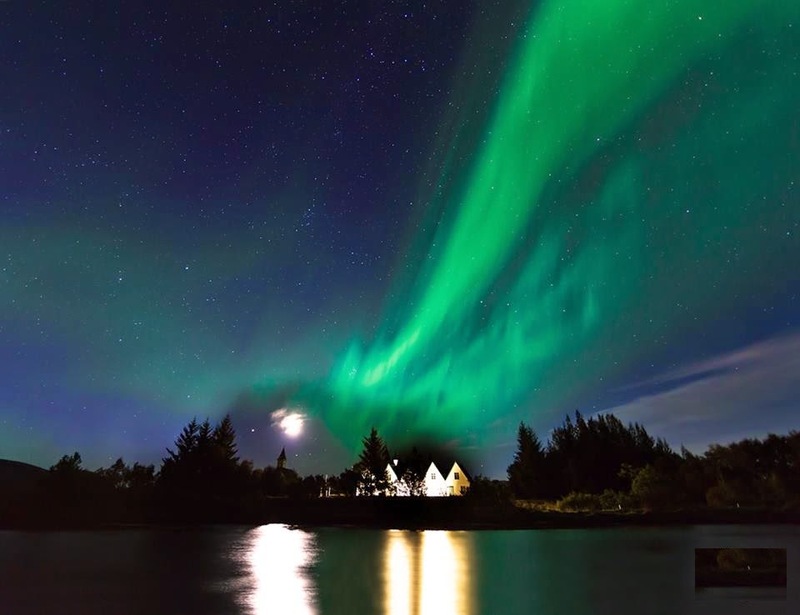 We felt really lucky to catch this phenomenon during our shot visit to Iceland. When we returned inside for desert, we had a really informative and lovely conversation (includes pictures) with the hotel owner Johan, about his experiences living in the region. 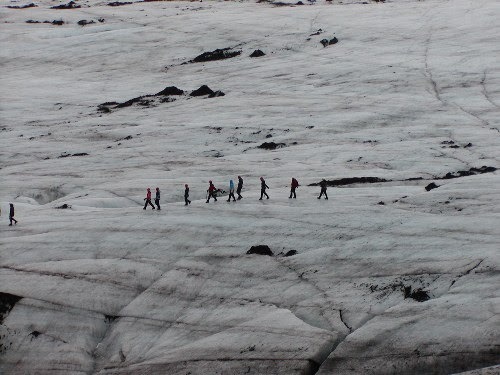 In the morning we did a wonderful two hour glacier walk on Myrdalsjokull with Tomas from Arcanum. Continuing West, we stopped at the impressive Skogarfoss waterfall, climbed up the steep metal stairs to the top and then walked along the muddy path which produced additional views of beautiful waterfalls, communing with sheep and vistas. We ate a fish and chips lunch at the restaurant near the waterfall and then headed to the lodge-like Hotel Ranga, outside of Hella. An upscale place, we took advantage of happy hour, the hot tub and a nice dinner in their dining room. This was our departure day so we headed directly to the obligatory Blue Lagoon for a couple of hours and then lunch in their dining room. From there it was to the airport and an end to a too short Icelandic holiday. Thanks again to all for the ideas you shared that helped us construct our trip. 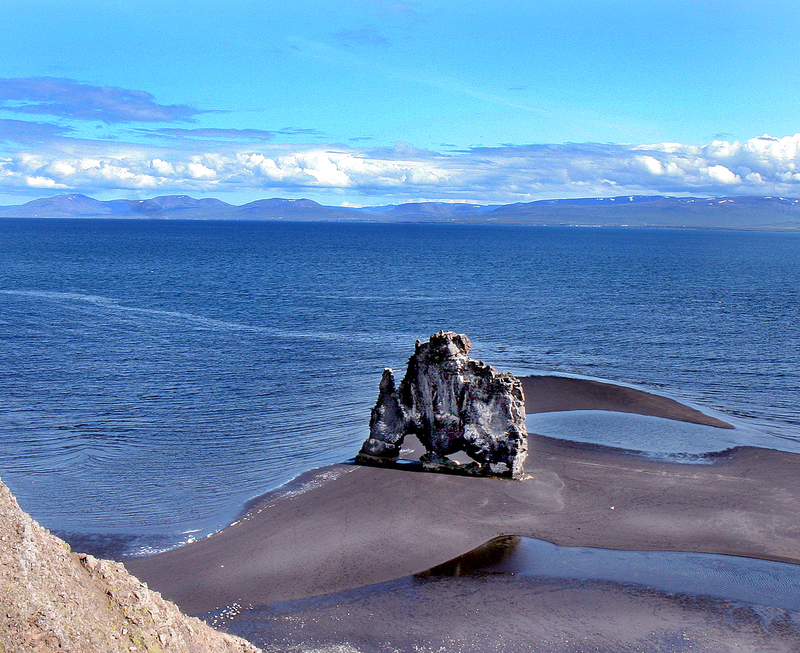 Located about 200 km from Reykjavik, Vatnsnes is a peninsula in northern Iceland, home to Iceland's largest seal colony. 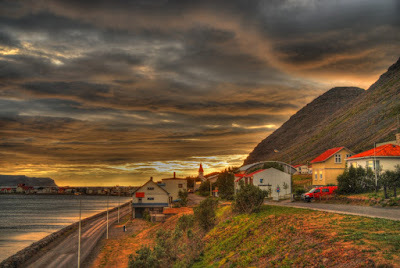 The main town of the peninsula, Hvammstangi, which has a population of 600 inhabitants, is located six kilometers from the main road (Route 1), and in addition to an obligatory visit to the seal center, you can enjoy one of the restaurants, a stay at a guesthouses, a visit to a store or the pool. The Seal Center is open from 9 am to 7 pm from June to August, from 9 am to 4 pm in May and September and from 10 am to 3 pm the rest of the year. The entrance fee is 950 kronur (about 7 euros). Route 711 goes around the peninsula along the coast, but it's almost entirely a track road, with only a small part of it paved. 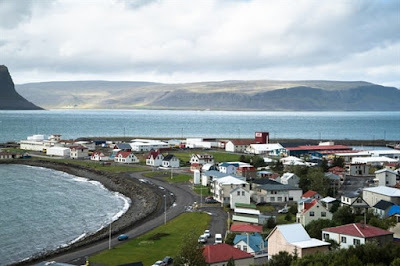 The peninsula is surrounded by the bay of Húnaflói, also know as the "bay of the bears" because several polar bears have come ashore here in the past. 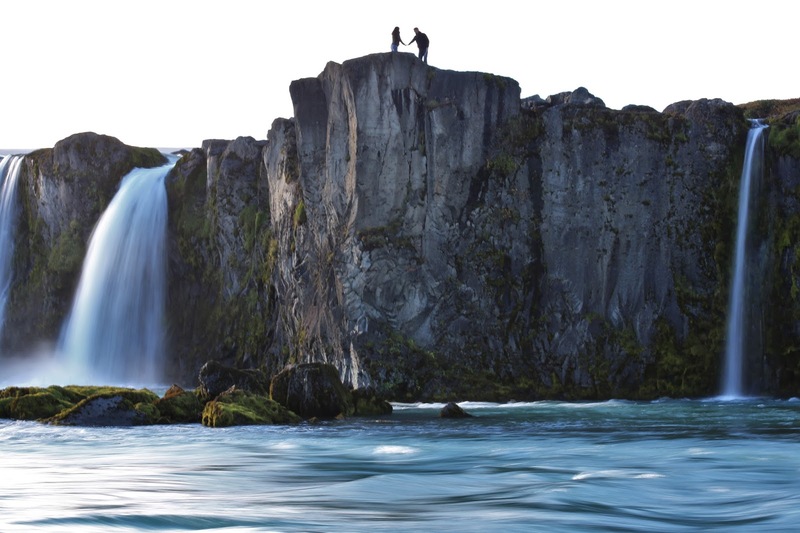 The main viewpoints of Vatnsnes are Borgarvirki, Hvítserkur, Illugastaðir and Kolugljúfur, a very scenic canyon with beautiful waterfalls. Borgarvirki is a volcanic plug that was used as a fortress in the Sagas; Located at 177 meters in height, it dominates the region. Stairs lead to the top of this natural fortress, but the road is full of pebbles and slippery - though, if you reach the summit, a magnificent view awaits you. 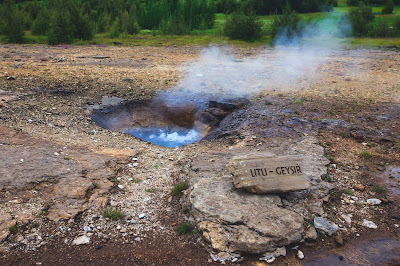 Hvitserkur is a basalt formation 15 meters high, which has two holes at its base and resembles a dragon drinking water. Legend has it that Hvítserkur is a petrified troll. There is a small car park and picnic area at Ósar, where you can leave your vehicle and go by foot on the walking path to reach Hvítserkur. If you would like to view it from the top, there is a path available from the beach, in the summertime watch out for the Arctic tern, as there are many of these birds in the area at this time. 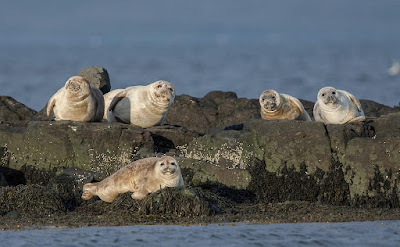 The best viewpoints for observing seals are Hindisvík, Ósar, Svalbarð, Illugastaðir and Hvítserkur. The best time to observe seals is two hours after low tide, and the chances of seeing them are especially high if the weather is mild. 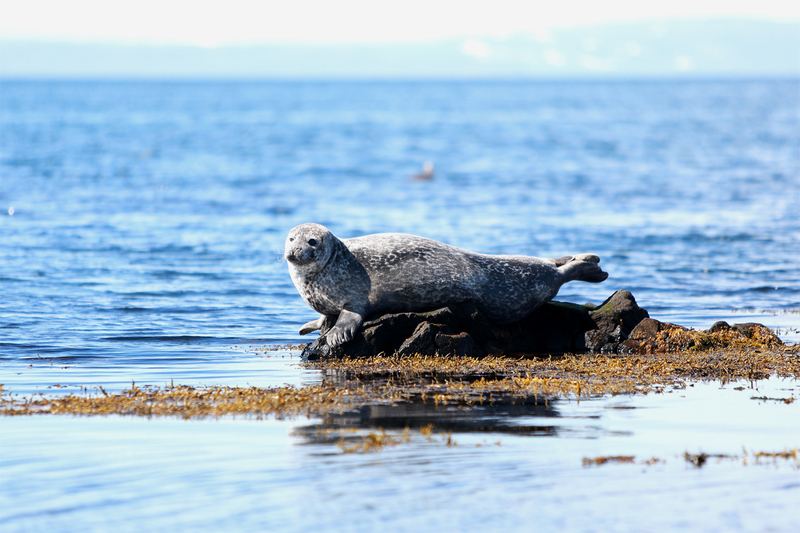 Every year in July, you can participate with some of the Illugastaðir locals, in the counting of seals. 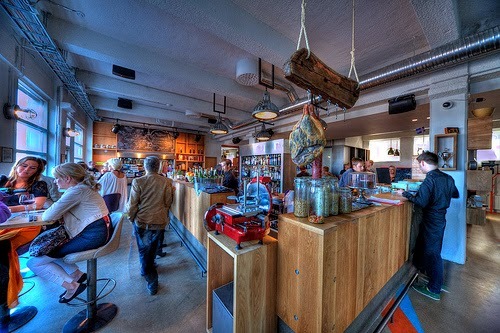 It is also a nice place for a coffee and something to eat. The old farm of Geitafell is also worth seeing on the peninsula; today it is a small museum located in the middle of nowhere, with a tower worthy of a castle, which you can visit from May to September. 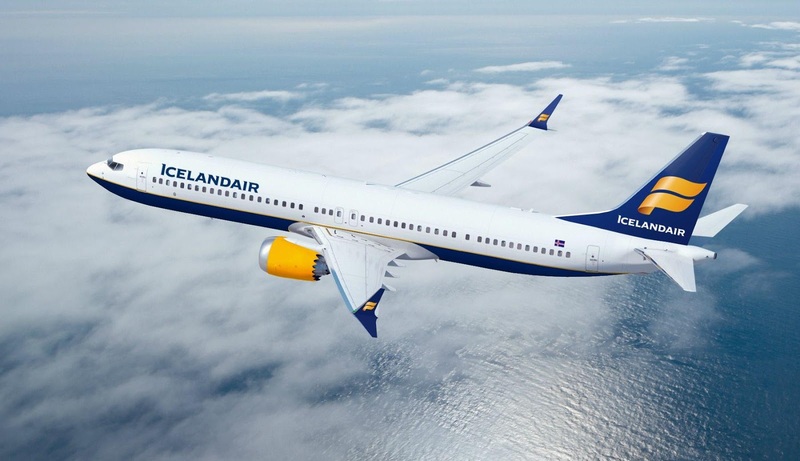 More and more people are booking flights to Iceland due to the attractive prices offered by airlines, however, once they get there they realise that their spending costs are high. 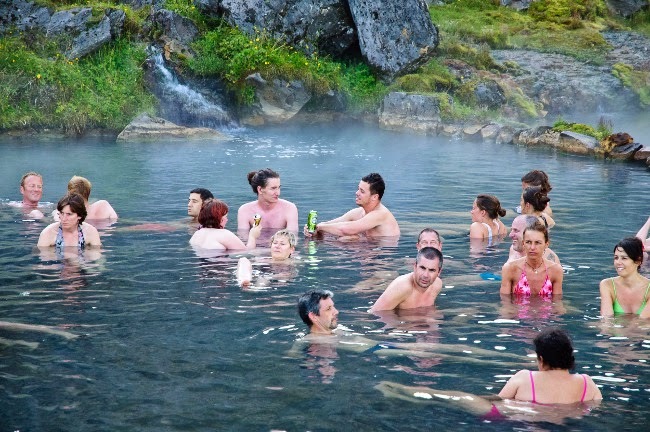 Is it possible to travel to Iceland on a small budget? The answer is mixed. Yes, we can travel to Iceland "cheaply", but it involves a lot of organisation and flexibility - if you want to participate in excursions, go to the highlands, hike on a glacier, fly over a volcano and stay in a hotel, your trip will end up being expensive. There is no secret, it is not possible to see and do everything on a tight budget, but with planning, you can still see and do quite a lot. 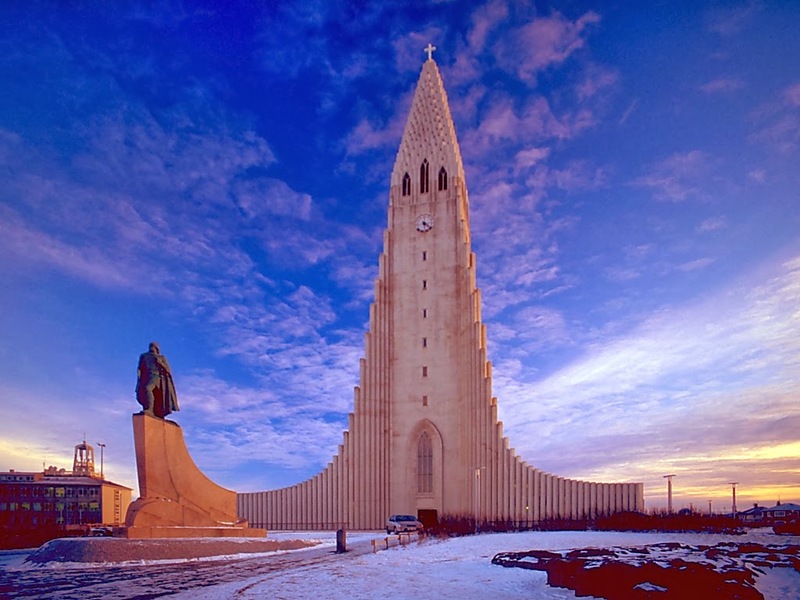 The popularity of Iceland has led many airlines to offer direct flights, and more and more low-cost carriers are available: Wow air from Europe and North America, EasyJet or Transavia (subsidiary Air France). By booking in advance, you can find very good deals. The Icelandic airline, Icelandair, also has occasional flash deals where you can book a round trip to Iceland for less than 250 euros. 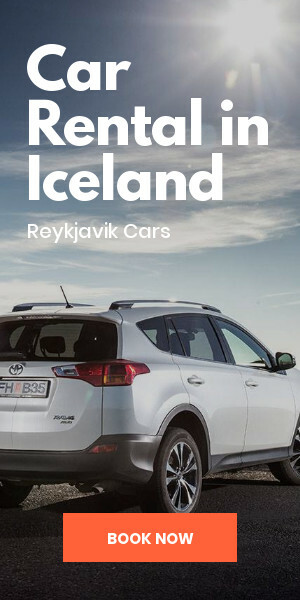 On-site car rental is a good way to travel -this is certainly not cheap, but it gives you a flexibility that you will not get with public transport; for example, car rental may suit families or groups more as they will spend more on bus fares collectively to travel from place to place. Moreover, domestic flights are incredibly expensive. 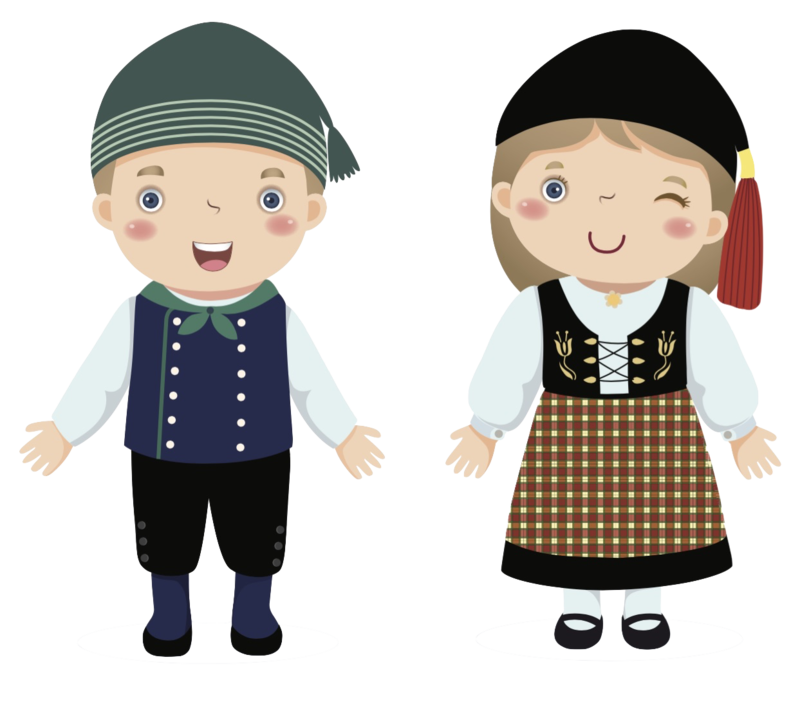 If you are travelling alone, consider getting a bus passport, or try to find fellow travellers to rent a car together. The carpooling website samferda.is can also be a good idea. Accommodation is certainly expensive in Iceland. 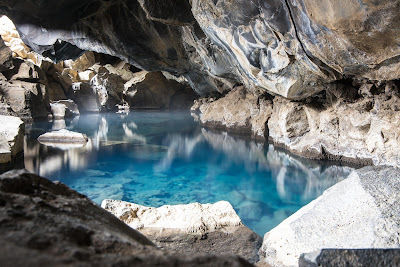 Travel out of the high tourist season (June-August) to get lower prices, use airbnb, save a few euro by staying in a guesthouse with shared bathroom facilities, camp if you are travelling in the summer time, or try Couchsurfing - even though this is difficult in Iceland. The hostels have fairly reasonable prices but it is imperative to book several months in advance if you go in the summer. Forget the traditional restaurants and opt to eat out in a cafe where you can avail of various lunch offers. 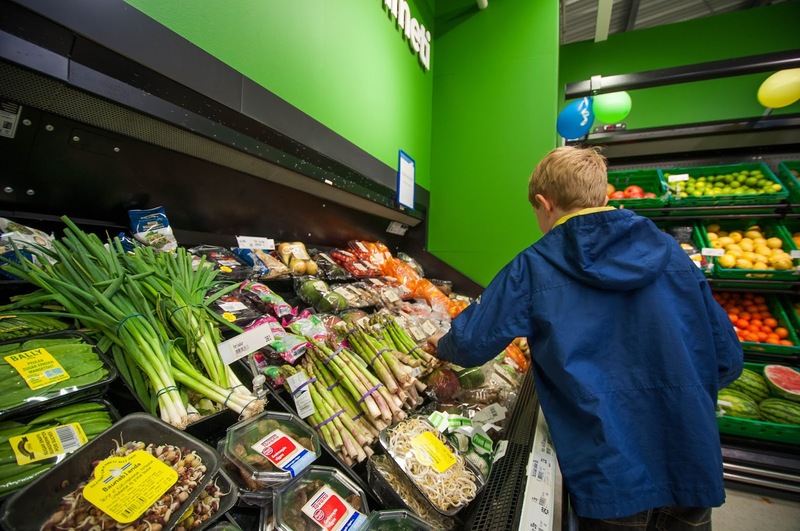 Expect to pay around 15 euros for soup or salad. 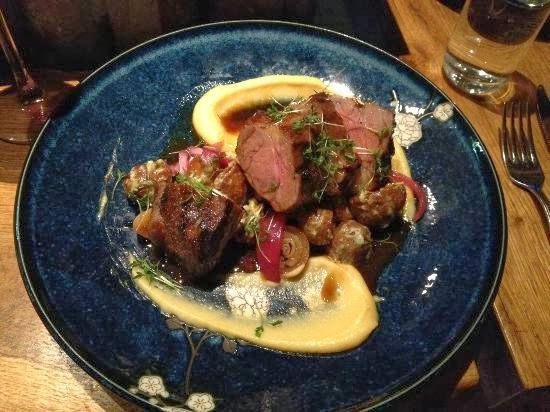 Eating out is an expensive element of travelling in Iceland. If it is possible to prepare your own food, do it and you will save a lot of money. Going on tours can be difficult if your budget is tight, even if some agencies have quite competitive prices. But do not worry - Iceland is full of wonders, whether your wallet is empty or full. 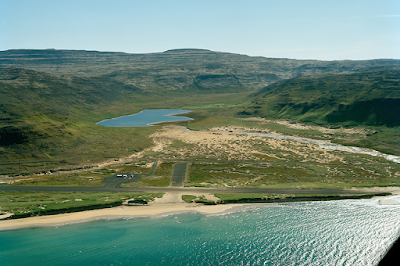 Vesturbyggð is located in the south of the Westfjords, Iceland. 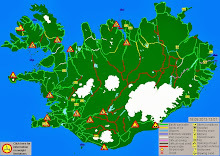 The main villages Birkimelur, Bíldudalur, and Patreksfjörður form the municipality of Verturbyggð. These destinations are way off the beaten track, but like most places in Iceland, are becoming increasingly popular for travellers. 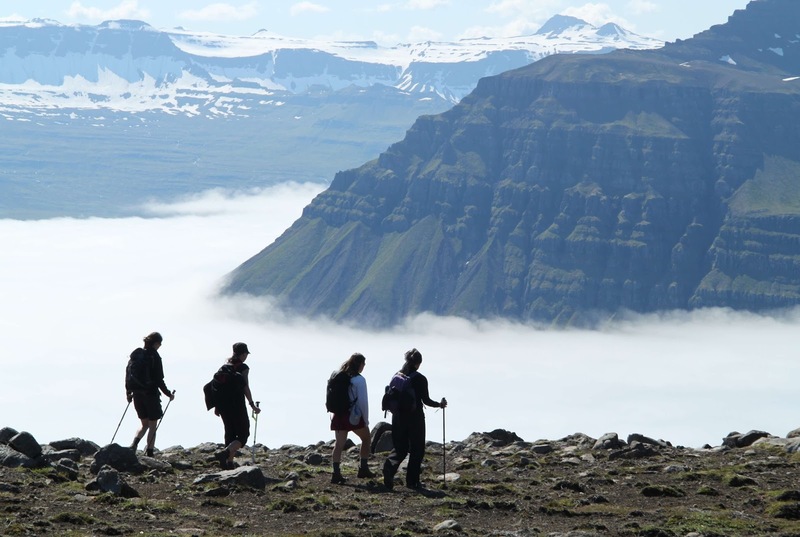 The landscape in the West Fjords is both magnificent and fragile, and so it's important for visitors to respect the local plant life and vegetation. Patreksfjörður has 700 inhabitants and got its name from its first settler, Örlygur Hrappson whose spirit guide was St. Patrick. The campsite in Patrekfjörður is relatively new, with excellent facilities including showers, toilets, a washing machine, dryer, and a kitchen. 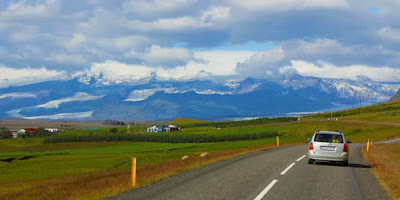 This high standard camping site is a good practice run for visitors in Iceland who wish to get used to camping in the unpredictable Icelandic summer weather. South of Patreksfjörður you can admire the highest mountain in the Westfjords, Kalbakur (998 meters). 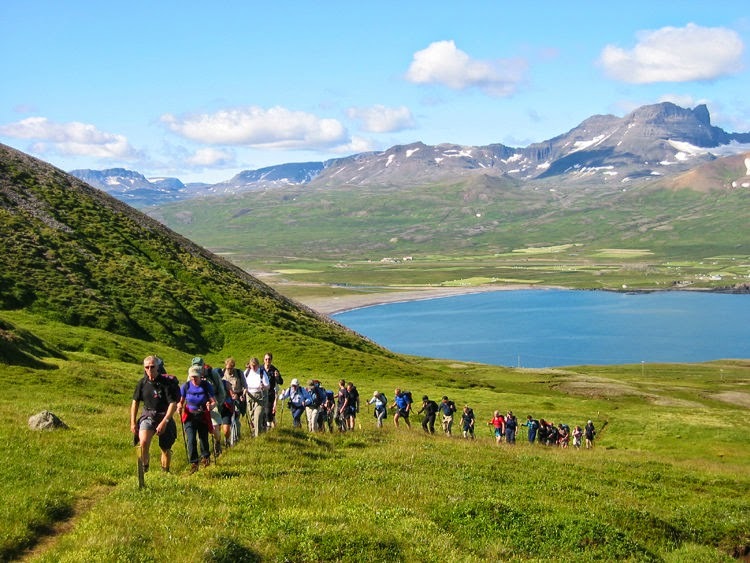 They are so many wonderful outdoor activities to try in Patreksfjörður in the summer time. You can rent a bicycle, or take a fishing trip out to sea, or just walk and admire the many birds in the area, such as the white-tailed eagle, the razorbill, the guillemot, and the gannet. One of the main attractions in Patreksfjörður is Látrabjarg (a rock 14 kilometers long and up to 440 meters high) where thousands of nesting birds live in the summer time, including the puffin. If you're lucky, you will see the arctic fox (the only non-marine mammal native to Iceland), which is more commonly seen on the coastline of Iceland. You can see plenty of seals around the rocks at Látravík, Rauðasandur, and at Látrabjarg, Patreksfjörður Fjord where you can also see whales if you go out to sea. 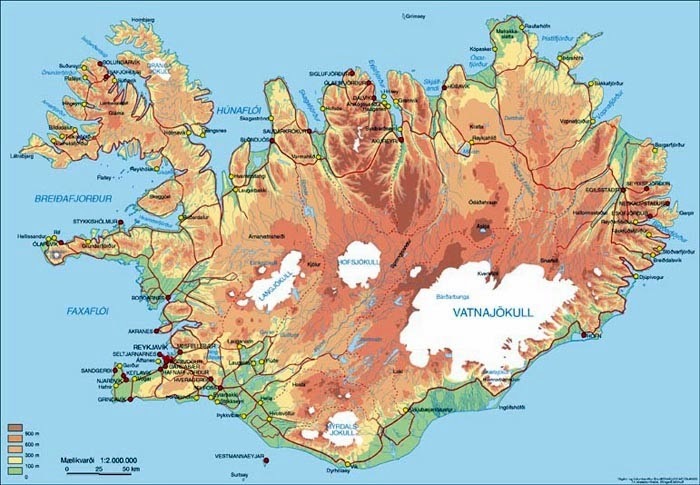 The valleys of Sauðlauksdalur and Rauðasandur ("red sand") are known for their large variety of natural herbs used for culinary and medical purposes. In 1758, an Icelandic priest in Sauðlauksdalur was the first to grow potatoes and vegetables in Iceland. These valleys are home to beautiful promenades and are a paradise for botanists! 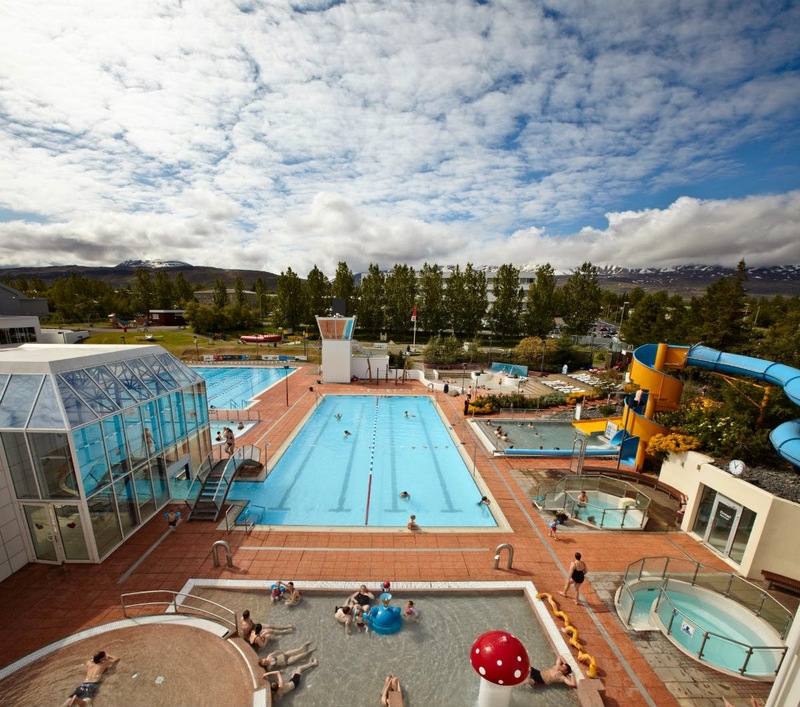 Birkimelur is a quiet community whose main attraction is the local pool, as with many villages in Iceland. Nearby at Birkimelur, near the road number 60, you can bask in the natural water hot pot, Hellulaug (N65 ° 34 '36,661 "W23 ° 9' 48.289"). Bíldudalur is a village of about 200 inhabitants that organises an annual alternative folk festival called Baunagrasið. 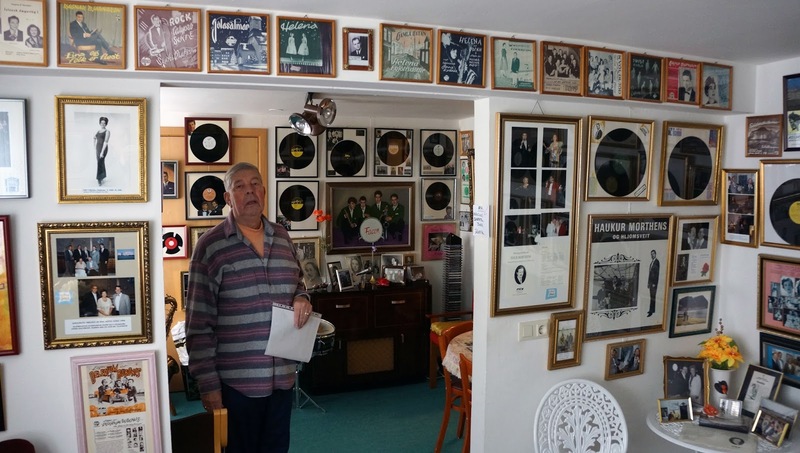 The local music museum exhibits Melodiur Minninganna“ (Melodies of Memories) immersing you in the Icelandic pop music of yesteryear with songs that are delightful to the ears! A little further, to Arnarfjörður, is the Icelandic Sea Monster Museum, that tells the story of sightings of sea creatures around the local area ... Arnarfjörður is one of the most beautiful western fjords, with its varied landscapes and towering mountains and above all, Arnarfjörður is known for sheltering the majestic waterfall Dynjandi, from an impressive height of 100 meters. 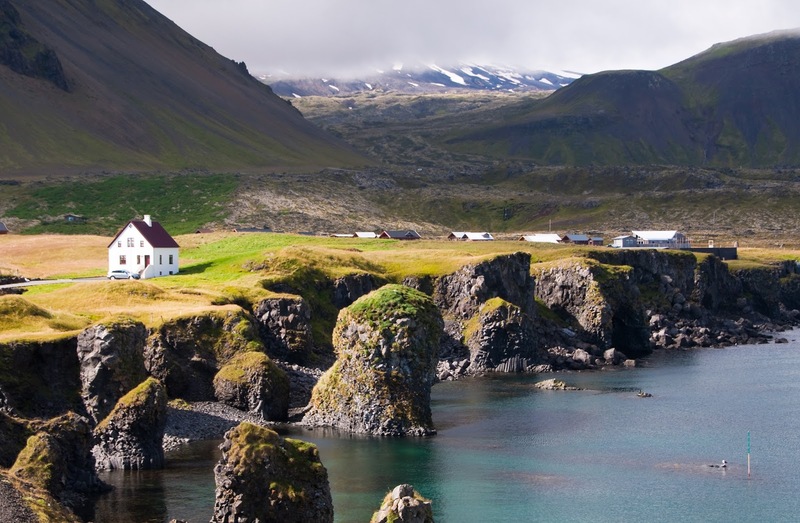 While checking out the local area, don´t forget to go visit the small village of Látravík that is surrounded by beautiful coves with almost turquoise water and white sand beaches.